On his third full-length, Circus Town, Nashville's Tommy Womack hits it on the head, taking the listener through southern fried rock 'n' roll, slumbering acoustics, weepy ballads, and storytelling fit for a long haul across America. Remembering one of the greatest rock 'n' roll bands of all time, Womack's homage to "The Replacements" sums up everything you've ever thought or heard about the band. When he sings "When you paid, you took your chance, 'cause when they were good, God got up to dance!" shivers go down your spine. Then he sings "They had Marshalls turned up to 10 which ordinarily wouldn't be such a bad thing, but they were trying to tune up by ear", and Womack does what very few can. He tells a story that is so vivid and true to history, you feel as if you were right there with him, drinking and laughing at the bar like you're his best friend, remembering these good times together. Or take a track like "You Could Be at the Beach Right Now, Little Girl". Womack's sad tale of a girl and her failed life. It instantly touches you, making you weep as the breezy rock, folk, and pop gain your confidence and have you tapping your feet as you attempt to sing along. "Tough", the opening track, however, proves that Womack hasn't forgotten how to rock, as he blazes through a rollicking number filled with plenty of guitar, just like "The Highway's Coming," another full-throttle rocker that makes you want to get up out of your seat and dance. Ending with the title track, Womack cradles you to sleep. The dream-esque vibe of the keyboard echoes, while Womack's relaxed voice spills out another tale for you to enjoy, with the band playing a light rhythm to keep the song moving, but gentle enough to sooth you over and let you slip into a peaceful sleep. And, don't forget the hidden track, a song about "selling mom's urine on Ebay", which rounds out the album, assuring it offers up everything from the sad to the completely insane. 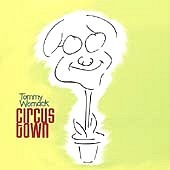 Womack has raised the bar with Circus Town, a warm, worn collection of the ups and downs of life. From his storytelling capabilities to the ability to write ragged rockers next to tender ballads, Womack keeps you enthralled from start to finish. I'll give it an A-.